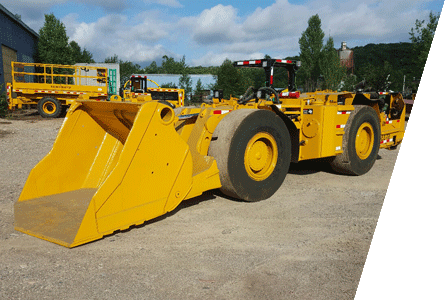 KES Equipment has refabricated a Wagner Scoop for use in various mining applications. Unit is equipped with new parts where required. KES Equipment can also build other needed underground mining equipment including anfo loaders, custom forklift machine configurations, and more. Contact us today to see what we can do!